If the yesterday post was dedicated to all the readers dreamers of this blog, the today post and this “important” purchase, is dedicated to all the people who follow my blog since a long time or maybe, since the beginning. Yes, all of you guys, those people who have seen the born of this blog, and who help me growing thanks to their lovely comments and critics, from a student without one euro in her pockets, since the graduation and the grown of my self and my blog. Many times, in the last years (yes the second birthay of this blog is coming really fast!) you told off about my lowcost accessories and you advice me to find a solution to “this problem” with your kindly email and comments with which we tell a lot of fashion advices to each others! At the end yes, it has been a great adventure (and effort, in economical terms for me!) but I have finally bought my new, first, real bag! 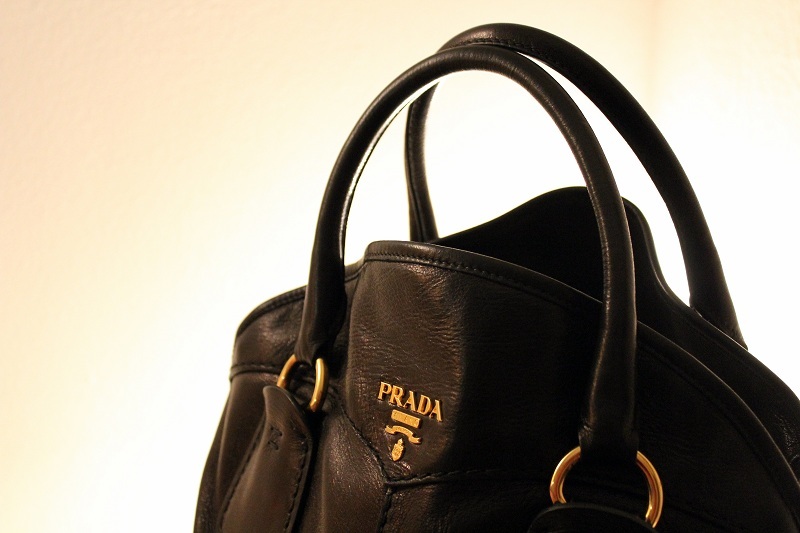 I decided to bought a black one (so it’s ok with every outfit), not an it bag but a classic bag with a superlative leither and a not to die price (thanks to the Prada factory store that is located in Arezzo, near Florence, Italy). And you girls, what do you think about this purse? Have a nice weekend, live from Livigno (a mountain location in which will be an amazing blogger event of which I’ll talk you soon!). Lot of hugs to all of you! 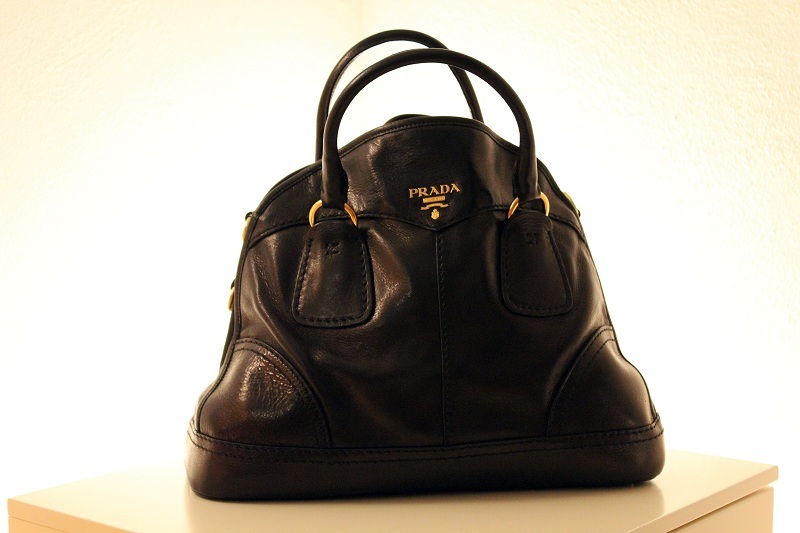 BAG: PRADA bought at Prada and Miu Miu factory store (Space – Levanella). 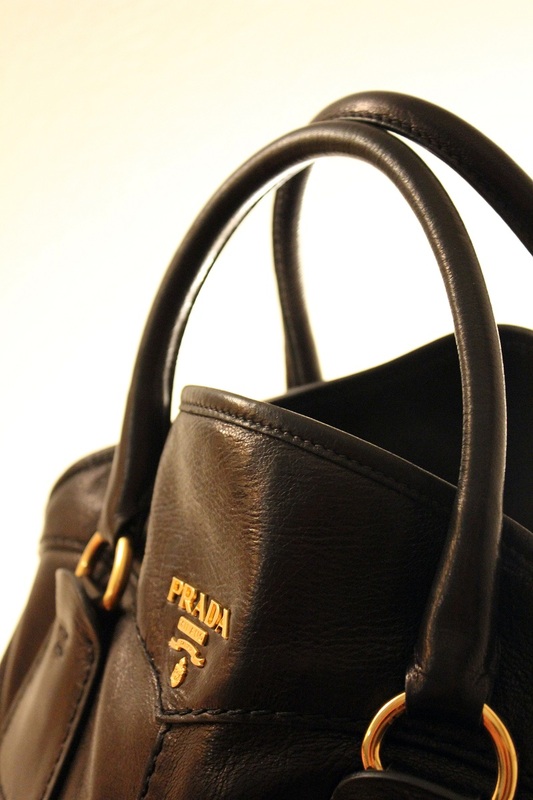 voglio comprare questa borsa fatemi sapere come BAG: PRADA bought at Prada and Miu Miu factory store (Space – Levanella). 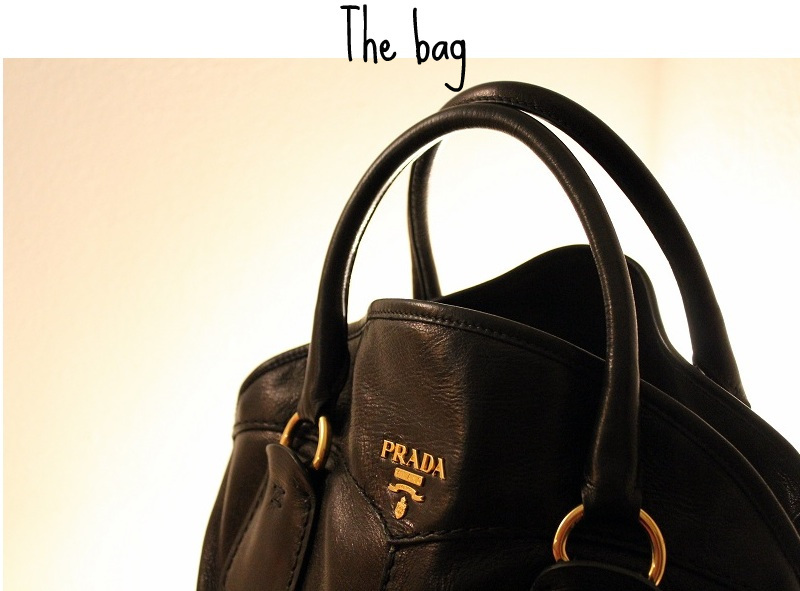 Beautiful bag!Love it!Loved the post, too! ire ti capisco alla grande. 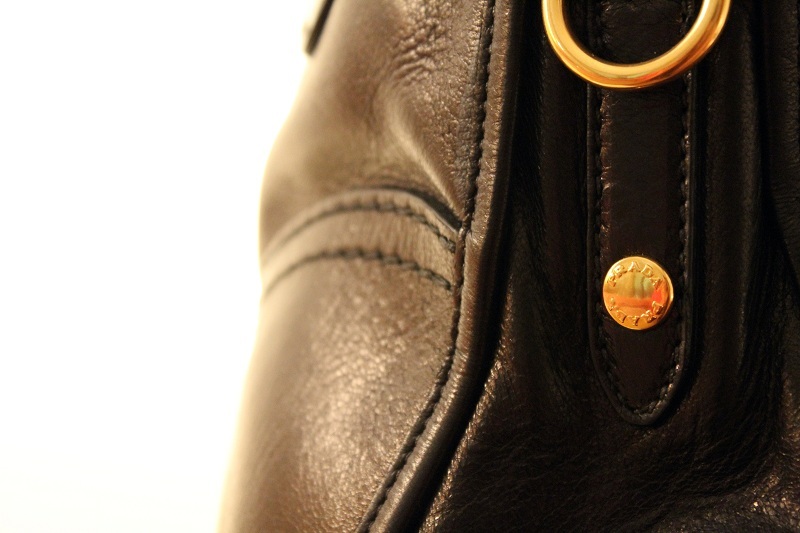 la soddisfazione di avere fra le mani la falabella borchiata (e l'ho sudata proprio come te! )è stata fortissima! Ciao!!! E' bellissima e hai fatto bene! E' un modello che non muore mai e poi ogni tanto ci vuole ;). Io sono una di quelle a cui piace mischiare cose lowcost a cose un po' più costose e buonine ho una fissazione per alcune borse ma ancora sono trooopppooo fuori budget per me :D Un bacione e buona week end!!! This bag is really beautiful. He is perfect, nice style. Have a great weekend. Davvero stupenda! Primo o poi farò anche io questa pazzia!! me ha encantado tu blog!te sigo guapa! 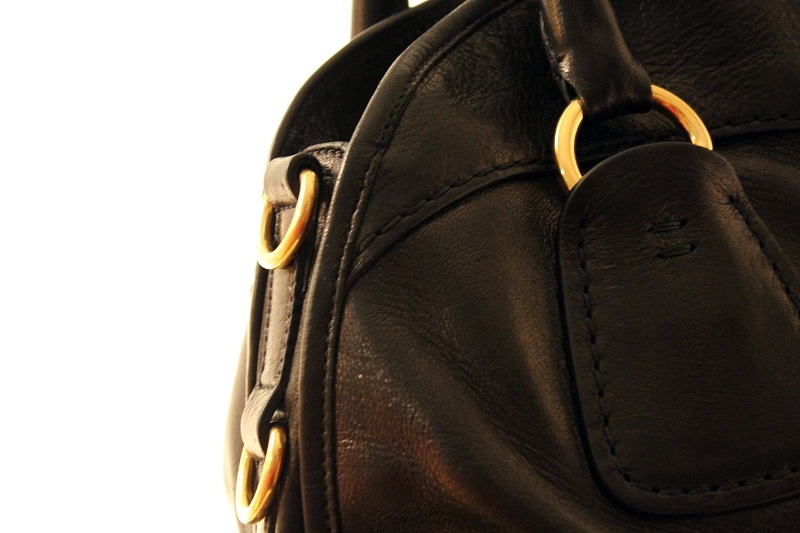 Love the bag, and the post is really touching!You did well by buying something classic and black! Great choice! Da sballo! Hai fatto benissimo ad investire i tuoi soldini in questa borsa, ti durerà una vita! Posso sapere il nome del modello? wow, bellissimaaaa! ottima scelta, davvero! Bellissima, con l'auguri che sia la prima di tante! congratulazioni per il super acquisto irene!! ancora più bello perché sudato ;)hai fatto benissimo a scegliere una borsa nera piuttosto basic, ti durerà una vita e non ti stancherà mai. in più l'hai trovata a un ottimo prezzo (la prada in canapa di questa stagione superava gli 800 euro mentre questa è in pelle e costa meno!) e vedrai che risolleverà anche il più low cost degli outfits! è davvero bellissima, hai fatto un ottimo investimento ;). iree so che è una domanda da un milione di dollari, mai hai visto se almeno sta volta c'erano coffer o bow bag?mi ha detto bene solo una volta che son riuscita a prendere una miumiu bellissima da 1200 euro a 250 perchè macchiata!! !bacihttp://www.theshabbylabels.com/ New Outfit Post! Omg this bag is too beautiful! This is very nice, like it !Henar ♥ … OH MY VOGUE! Ma che bella! Io nella mia vita ho fatto pochissime spese pazze e cmq tutte nei saldi per evitare di spendere troppo. Cmq quando si desidera una cosa, e' giusto fare un po' di sacrifici per ottenerla :)Pertanto approvo alla grande il tuo acquisto! I love the bag! Prada was my first big purchase too!